As soon as Ann Cole Lowe could walk, her momma and grandma taught her to sew. She worked near her momma in their Alabama family shop in the early 1900s, making glorious dresses for women who went to fancy parties. 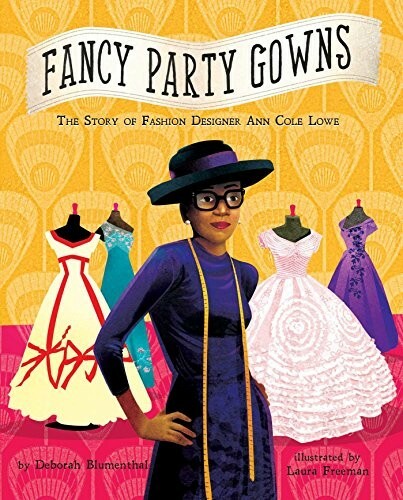 When Ann was 16, her momma died, and Ann continued sewing dresses. It wasn't easy, especially when she went to design school and had to learn alone, segregated from the rest of the class. But the work she did set her spirit soaring, as evidenced in the clothes she made, including Jackie Kennedy's wedding dress and Olivia de Havilland's dress at the Oscars when she won for Best Actress in To Each His Own. Rarely credited, Ann Cole Lowe became "society's best kept secret." 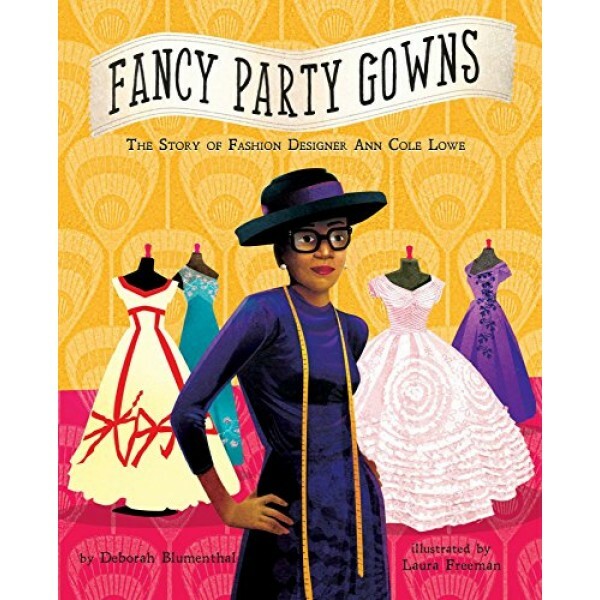 This beautiful picture book shines the spotlight on a little-known visionary who persevered in times of hardship, always doing what she was passionate about: making elegant gowns for the women who loved to wear them.